Closeouts. Whether you take the high road or the road less traveled, step along in Easy Spirit’s Travel Knot clogs. 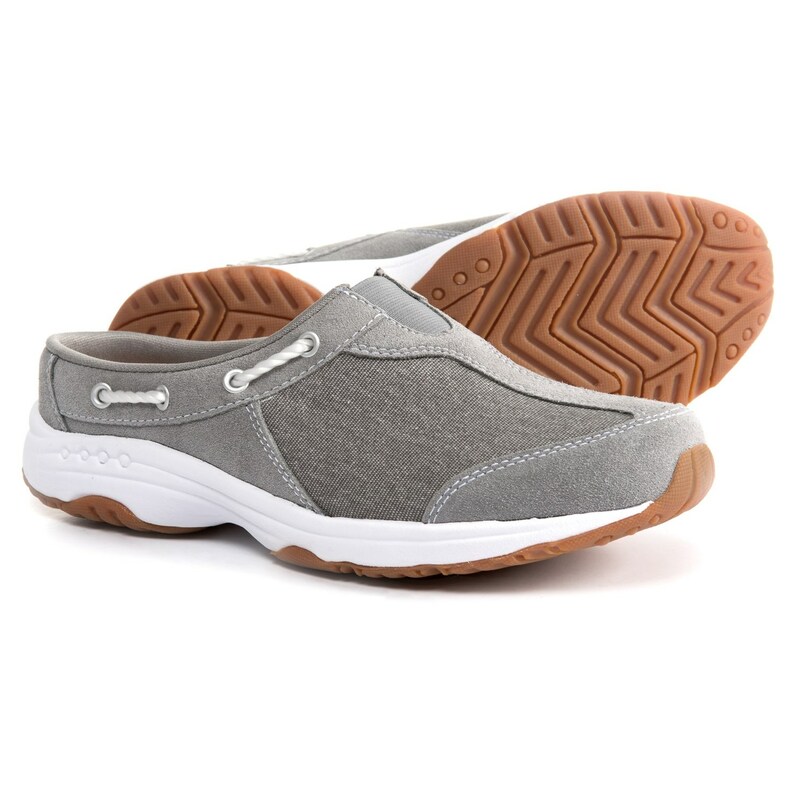 The open-back, sneaker-inspired design takes a nautical approach to casual comfort with its rope lacing detail and canvas construction, yet fully delivers on pure comfort with a cushioned footbed and EVA midsole.